I spend most of my time with people aged 5 and under, and my husband is not the slightest bit interested in the main things I write about, so blogging gives me a voice that I wouldn't otherwise have. For the first few months no one really read my words and there were very few comments from those who did (some of the posts that few read are posts I still consider my favourite). Still, I wrote. There were things I wanted to note down and remember, to look back on and to show the children when they are older. It started 'for Me' with no consideration to anyone else reading it (because no one was!) but over time this has changed, largely because my experience of reading other blogs has shaped the way I would like people to interact with mine and whilst I still write about what I want to write about, it's not just written for me now, I know that there are some other people reading and your feedback is valued. And as much as I love writing a blog, I love visiting others even more - peeking into people's worlds, seeing their pictures, imagining living their lives.... I read LOTS of blogs. There are a only few I subscribe to by email - these are the voices that really 'speak' to me, and I never want to miss a single post. Generally I use a feed reader to keep up as this is the only practical way I can keep track of the hundreds of people I follow in the limited time I have. If I know/follow someone on Facebook or Twitter too, I'll sometimes click on their links to new posts which means viewing their blog via another app, but most often I'll catch up with posts on my iPad, or sometimes my iPhone, using Flipboard. 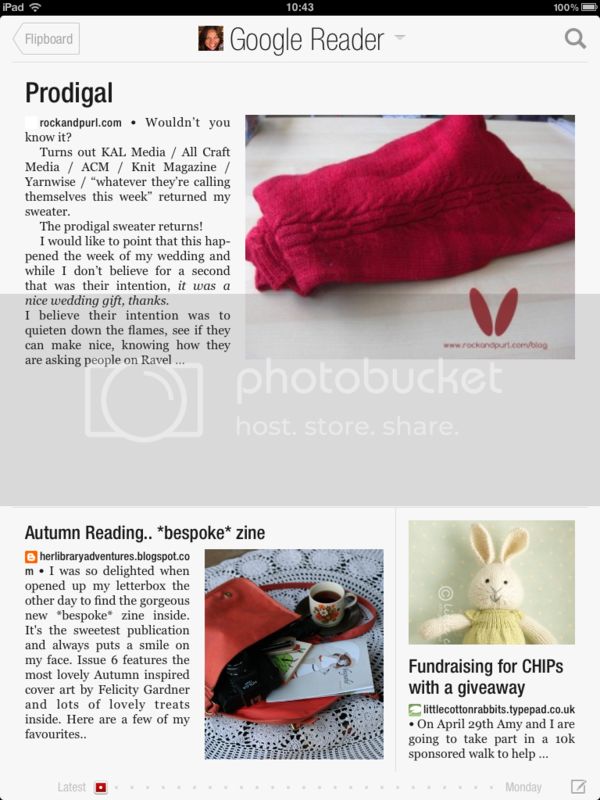 (This presents the posts in a simple magazine format which is easy to flick through while I have a cuppa.) Both of these methods make reading the posts easy, but there are a number of frustrations with commenting on them. Captcha/Spam prevention is not just preventing spam, it's preventing comments!! A lot of times I write a lengthy comment on a post only to find that the captcha thing just doesn't work on the device (or maybe the app?) I'm using. The word verification image doesn't show up at all, and therefore the comment can't be submitted. This is SO frustrating! Even when I can see the images (on my device or my laptop) my eyes actually find it hard to read them. So I try again. I'll be honest, if I can't make out the 2nd image, I usually give up in frustration. When I started blogging and so many people had word verification in place, I thought it must be necessary, but as it annoys me so much when I try to comment on other blogs, I switched mine off last June. Since then have only needed to delete 4 or 5 spam comments. I'm pretty sure I'm not the only one to get frustrated by this stuff. What's your take on it? I don't use word verification either. It drives me crazy. There has only been one comment that I didn't publish. I don't think I need word verification. If I don't like the comment for whatever reason I don't publish it. I love your blog. You inspired me to try knitting again, and continental method too. I am working on my first project. I am glad you blog. Talk to you soon. Kashi. Thank you so much for posting this! I love to write comments, but these days I get completely crazy because te word verification is indeed hard to read. You've just written my exact thoughts (in fact your first paragraph kinda freaked me out, I'm with you on every.single.word!!). I have only had to delete a handful of spam comments from my blog - and like you, I find them a trial on others' websites especially if I'm on my phone. But I had no idea that the verification bit could take quite a while to pop up - I've been constantly frustrated by leaving a nice comment, and then it appearing not to register, with no message or anything. Perhaps if I'd waited some moments longer another stage would come along. Either way - too late unfortunately. I took my captcha off about two months ago when the words became so hard to decipher, problem is I am completely annoyed when people haven't done the same....I have to say I don't get a massive amount of traffic, but I haven't had any spam problems....maybe I'm not interesting enough to spam! I also removed the captcha. At first it was only one word but since there are two it is just to difficult. I also often have trouble reading it and when I put the wrong words the page refreshes and my commentbox turns blank. Often I don't feel like typing the comment again and that is a shame. I also don't get a lot of spam, so for now it is all good! Great advice - and I took it :) No more word verification on my blog. You know my thoughts Sarah - why I added a button to my blog just to make sure everyone knows my word verification is OFF!!!! So glad you posted this as I love commenting on blogs but the fun is zapped out of it by those much to tricky word thingys. I can totally agree with the whole of your post!! I took mine off a few months ago because is was driving me mad when I left comments It does stop me from leaving people a comment, especially if you've typed it all out and then get the word wrong! . They have made the words trickier too recently! Boo!! I had to google how to remove mine as blogger doesn't make it very clear. Great idea to show people how to remove it. I love reading blogs your is one of my favourites. They have helped me through my darkest times by inspiring my creativity and passion for life. Thank you for that I have actually been wondering how to remove my wot verification thing! I shall take note and action that ASAP. I always read your blog as I fin your word inspiring & love reading about your adventures . I find it so annoying too! But thought that it was only me! It makes it so much more fun to interact with people when you can post right away. Quick postscript. One of the things I find most annoying about Blogger is that if I comment using the name/URL option there's no cute little picture by my name, and if I comment using my Google ID I get the picture, but then my blog page is 2 clicks away instead of 1. Oh well, I suppose we can't have everything! Word verification is a bit of a pain in the bum. I can't comment on blogs from my iPhone as it always tries to spell check the captcha!! I end up starring it then going into Google Reader later on and leave comments. My main bug bear though is when you've fought with the captcha, only to find that the comment is awaiting moderation. All that aggro and it still has to be OK'd by the site owner. Grrrrrr. Rant over. Tea, cake anyone? Great post Sarah. Word verification can be really annoying and I wouldn't want to put anyone off from commenting either. I love your Finished Objects and your blog is so inspirational to me. 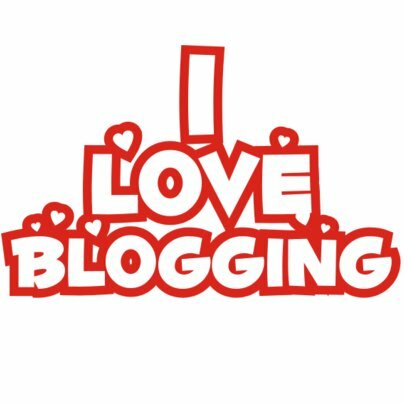 I have just found your blog and we have similar ideas about blogging. I am a beginner (2 weeks) and I want to have more readers, BUT it really is a great way to journal for me. I love the idea of recording the things that are important in my life at this time. I turned off the word verify setting since my elderly mother could never figure out how to leave me a message. You have beautiful knit projects! I also just found your blog. And I also started my website for my own personal development. Getting my thoughts down really helps me understand and clear up a lot of internal conflicts. But I generally don't like to post comments because it takes me too long. I find I am unable to put short comments like "Great post" "Thanks for the information". These are the types of things SPAMMERS write. And they have software to clear the captcha, so it doesn't do a whole lot of good. Thanks for your suggestion and guidance to turn off captcha.